Welcome to issue 8 of StarNews, which is jam-packed with the latest stories, features and news from National Star. You can take a sneak peek of what’s inside by browsing our stories below and clicking on those you’d like to find out more about. 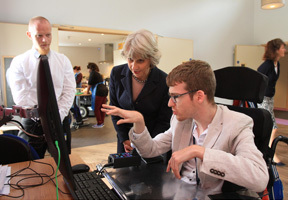 Her Royal Highness The Duchess of Gloucester has officially opened Bradbury Gardens, our new six million accommodation for young people with disabilities. The Unbreakables was a ground-breaking documentary that aired on BBC Three and closely followed the journeys of National Star students as they studied, dated and lived away from home for the first time. Find out what happened to its stars once the cameras stopped rolling. National Star Musicians George Roberts and Ben Pollard have won places in the new South West Open Youth Orchestra. 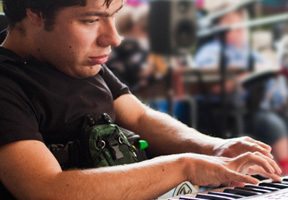 Here Ben writes about what the opportunity means to him. 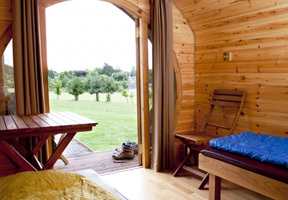 Foundation House, our specialist long-term accommodation in Gloucester, celebrates its one year anniversary. 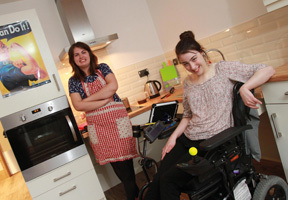 Find out how its 14 residents are benefitting from this stepping stone towards further independence. Ben is celebrating a year of being in his dream job at Holiday Inn – and he says it is all thanks to National Star. Find out how a Skills for Work internship enabled Ben to take the first step towards fulfilling his ambitions. 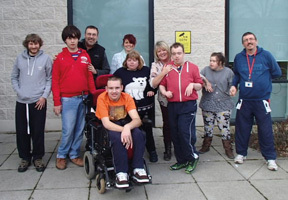 National Star College has launched day provision for young people with disabilities in Hereford’s city centre. 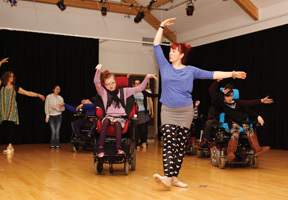 National Star has created an inclusive dance and theatre company called APT that will perform locally, nationally and internationally. 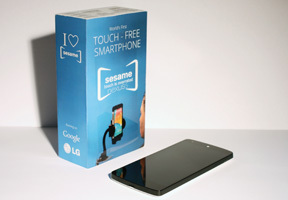 National Star students are the first in the UK to trial Sesame – the world’s first completely touch-free smartphone. Our online StarShop has launched! 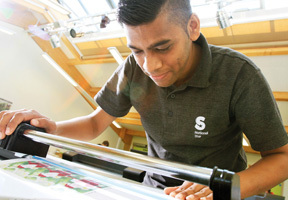 Visit it to browse a fantastic range of crafts, homeware, jewellery, greetings cards and products made by our students. 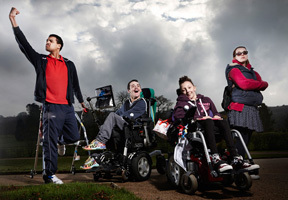 Every penny spent goes towards supporting our work with people with disabilities. 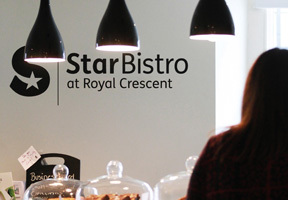 Visit StarBistro at Royal Crescent to enjoy superb breakfasts, delicious lunches, home-baked cakes, speciality coffees and afternoon teas. Based in the centre of Cheltenham, the bistro is our second eatery following our award-winning StarBistro at Ullenwood. Paralympian cyclist James Brown took on the Star Cycling Challenge in aid of National Star. 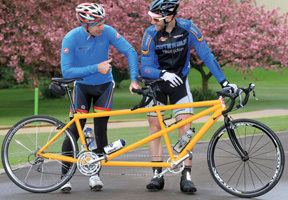 Joining over a hundred riders, James, who is registered blind, rode in tandem with his partner Neil. Student Jennifer Burt – who launched our Can Do campaign – is continuing to take control of her life by learning to drive an electric wheelchair. 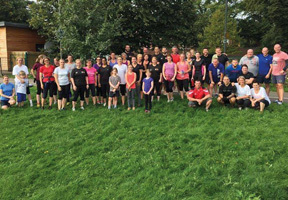 Mike Beer and his brothers Lewis and Russell assembled a team of over 50 gym members to undertake the notoriously tough Devil Mud Run in aid of National Star. Unleash your power of positivity by choosing a sponsored challenge in aid of National Star. These are some of the exciting events you could take part in next year.